I have loved many aspects of my teaching career, but none can compete with teaching my own two sons to read. Knowing that they were learning a skill that would open worlds to them, give them endless hours of pleasure and grant them access to independent learning made me feel so excited for them and so honoured to share that journey. Many children are not ready to read at age four;they have other mountains to climb. There's no hurry with reading and it's vital to wait until your child is ready. However, when those signs are there, grab the opportunity and enjoy the ride. My two children approached reading in completely different ways, neither of which was 'standard'. My older son loves languages & adored synthetic phonics. By four he'd mastered it all and has been a fluent and enthusiastic reader ever since. My younger son had absolutely no time for phonics. He just wanted to be able to pick up the largest book available and devour it - sometimes literally. 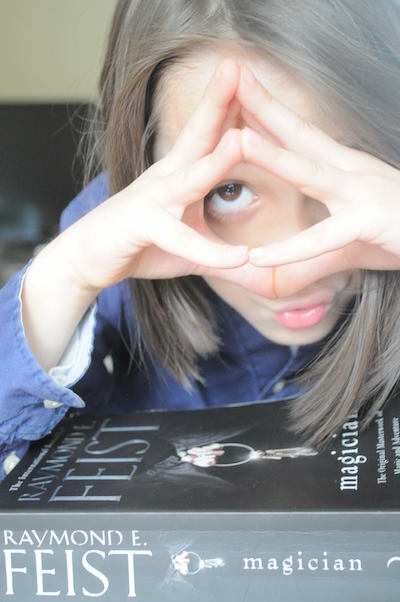 His love of large books has continued and he's just finished reading 'Magician' by Feist - a fantasy novel of 800 pages. The main problem these days is holding the books as his hands are still so small (he's seven). For him we had to find alternative methods to phonics, find strategies to give him the pace of progress he needed to retain his interest and ways of adapting to his unique learning style. During the workshops that I run for parents on Supporting Beginner Readers, I share a whole range of methods and techniques including those used in schools. We discuss all aspects of reading and parents should leave after the two hours feeling empowered and confident. We talk about how to completely personalise the learning experience for your child as well as how to monitor their progress and select resources. Hopefully it also helps parents to save money by avoiding potentially expensive and unnecessary purchases: there are many poor quality resources out there. If you would like to join the next workshop, please visit the 'Events' page and book a place.